Old Road in Maisemore has featured on the property site Zoopla. 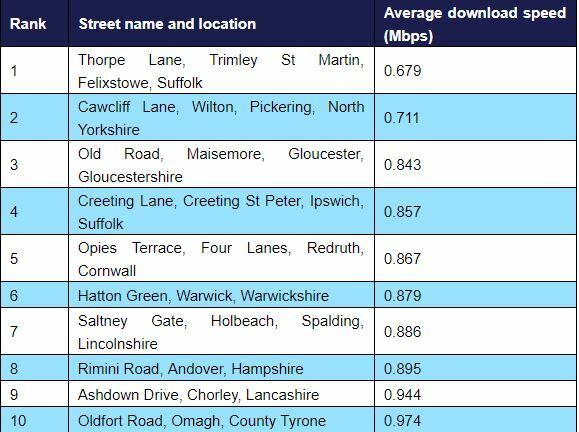 In a survey by uSwitch.com of broadband speeds, Old Road, Maisemore, came out as the third worst in the UK with a download speed of just 0.843 Mbps. The two worst were in Felixstowe in Suffolk and Pickering in North Yorkshire. The site offers some suggestions about what can be done - but it is unlikely that a significant improvement will take place until Maisemore gets Gigaclear fibre broadband, hopefully around the middle of the year.